Alpha Omega Publications makes it easy to find good, quality, age-appropriate stories for young children learning to read. Early Readers Level 2 is a progressive word building series designed with the young child in mind. Stories from the Bible are retold in simple language using phonics rules. 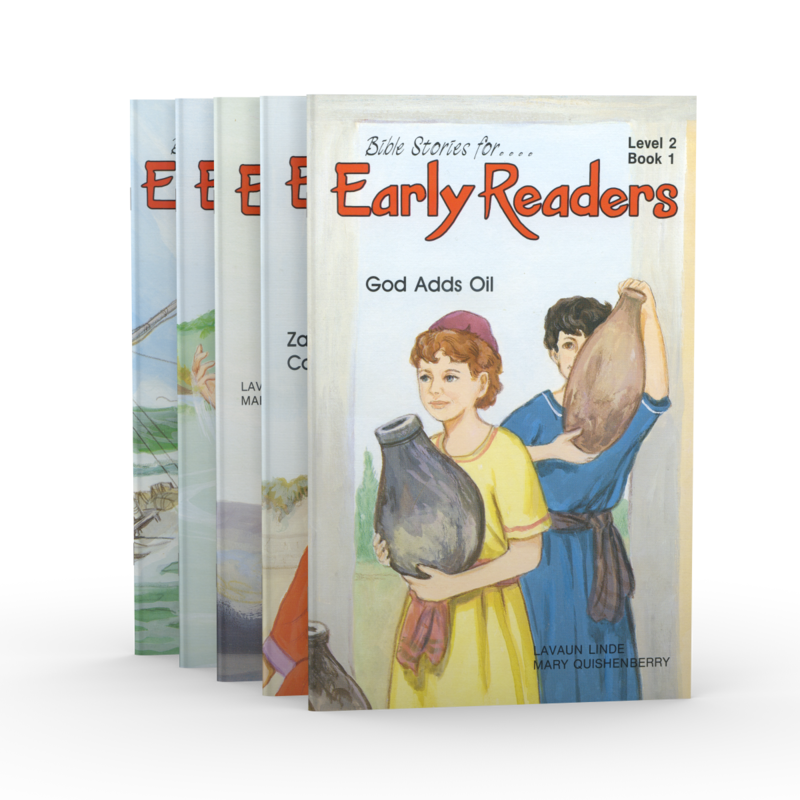 Level 2 picks up where Level 1 left off, with vowel blends, and takes your child through to words ending with silent e. Titles include "God Adds Oil," about the widow's oil; "Zacchaeus' Cash Bag," based on Luke 19:1-9; "3 Brave Men," from the story of Shadrach, Meshach, and Abednego; "7 Dips," based on 2 Kings 5:1-16; and "Jonah's Ride" from the book of Jonah. And that's not all! These books are used in the Weaver 1-2-3 Read! phonics program from The Weaver Curriculum®. However, these books can be an asset to your home library no matter what curriculum you use. Your children will love them, but most of all you will, too! Each book has a Scripture verse in the front noting where the story is found in the Bible. The end of the book includes comprehension questions to check your child's understanding of what they read. Order your copy of Early Readers Level 2 from Alpha Omega Publications today!